Ever heard of “Netflix and Chill” but you couldn’t relate to it? Or if you could, you still felt incomplete for not being able to enjoy it? Well, your miseries are over. Netflix is now available in more that 190 countries, Pakistan being one of them. In a press release made earlier today, famous internet TV service announced their global availability. After lauching in 2007, Netflix was available for users from a number of western countries to surf and watch TV shows and movies. 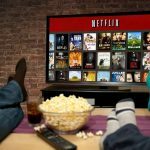 The service went live in the newly added countries as soon the Netflix Co-founder and Chief Executive Reed Hastings, made the announcement at CES 2016. Soon after the announcement was made, the internet reacted. A number of hashtags related to Netflix started trending as the joyous citizens welcomed the internet TV service to their countries. Netflix will still be not available in China, North Korea and Syria. And finally, there is a second good news. Netflix will be free for the first month in the countries the service has just being made available. So, go and “Nextflix and Chill”.